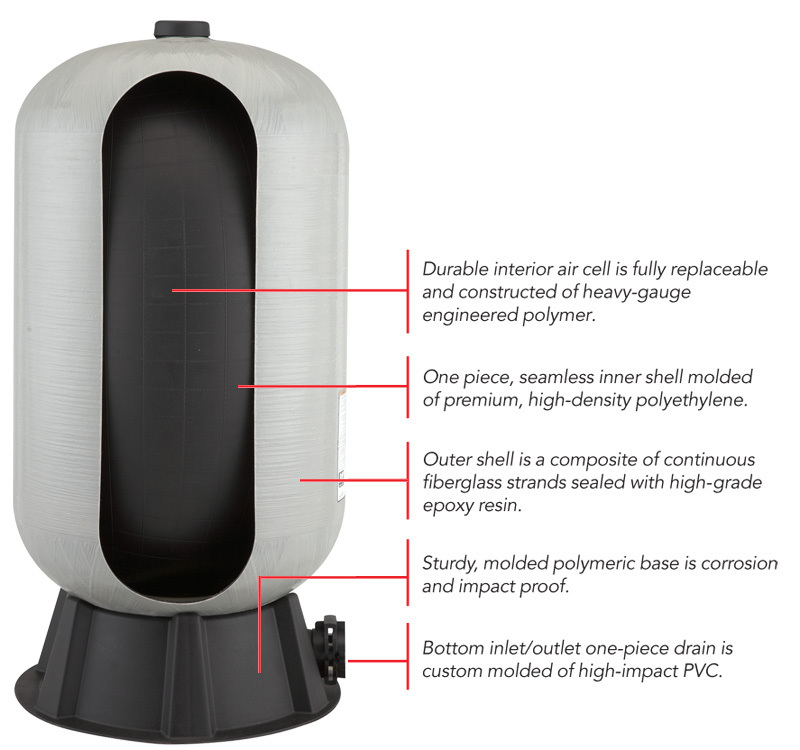 Wellmate Composite Tanks have become the tank of choice in residential and commercial applications for their unmatched performance. They contain NO steel, so they cannot rust. They require little or no maintenance because their fiberglass-wound and epoxy-resin sealed outer shell won't dent, and there is no paint to scratch or touch up. Their light weight (less than half that of steel tanks) makes them quicker and less costly to install. Plus they are 100% lead-free and will not introduce undesirable chemicals or elements into the water. 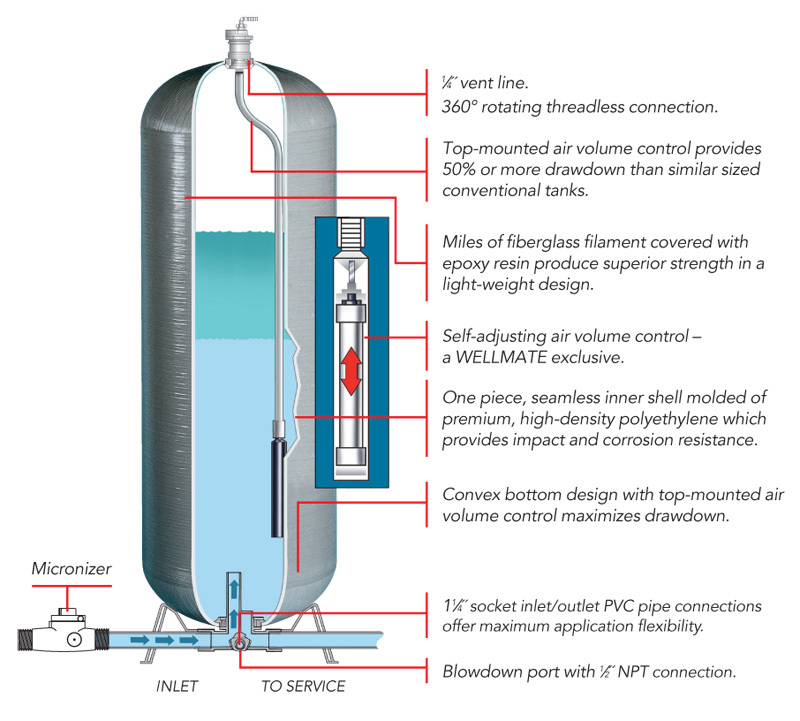 Greater drawdown than comparably sized steel tanks, yields greater efficiency. Won't rust in corrosive environments, particularly important in humid environments and coastal regions. Quicker and less costly to install, usually requirig only one person. Water pressure setting differential provides greater flexibility. The toughest tanks for your worst installations. Iron and Sulfur removal? Hydrogen Sulfide? Methane and other undesirable well gasses? 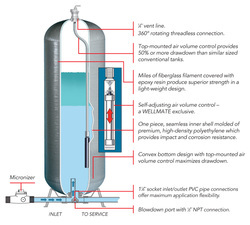 You need the high performance, you need the HP series of Hydropneumatic tanks. 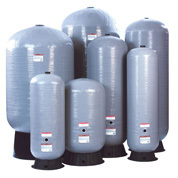 These units are for use with aggressive water, or as an open system where air is introduced to oxidize and aerate. 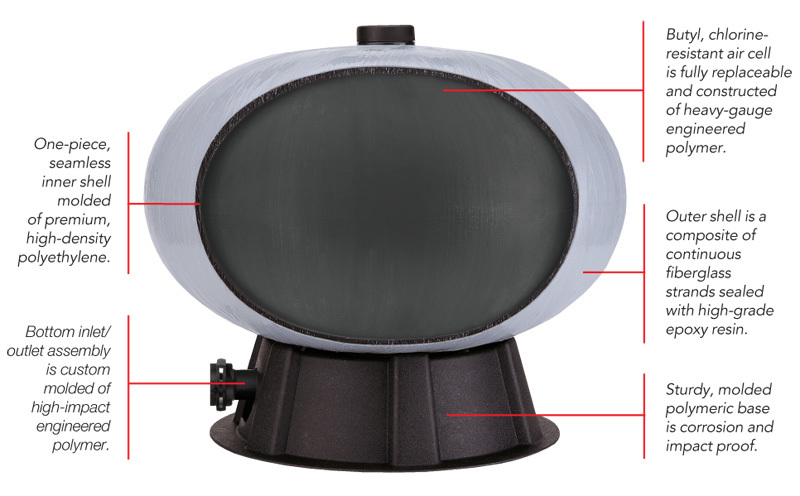 Adapter and UT drain assembly allow you to add 1" riser pipe to increase aeration of water. 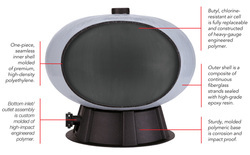 Self-adjusting air volume control enhances system flexibility and eaase of installation. APPLICATIONS: Sulfur and Iron water treatment. Hypochloride environments. Release of methane or other well gasses. 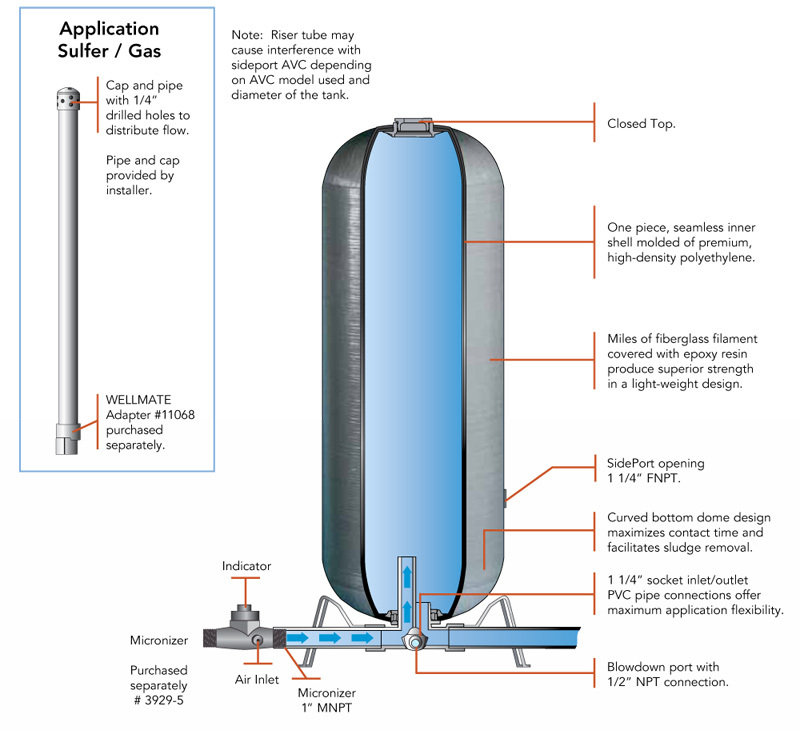 High Gas situations The side port series has all of the features of Wellmate tanks but is specificately used in situations where there is high sulfur content and high concentrations of Methane or other dangerous well gasses. 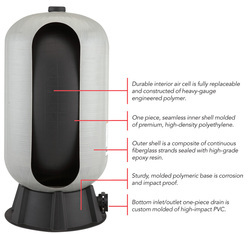 Low profile captive air tanks. Designed for height restrictive applications, features the highest drawdown in the industry for its profile. Replaceable air cell makes field service easy. For constant pressure applications. 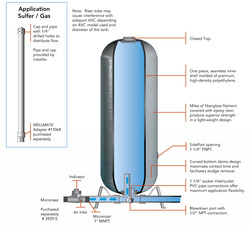 Our inline pressure tanks are designed for lite use applications in private wells. 2 and 4.6 gallon sizes. Light weight drawn steel outer shell construction. Butyl diaphragm for dependable service. Maximum workig pressure is 100psi.